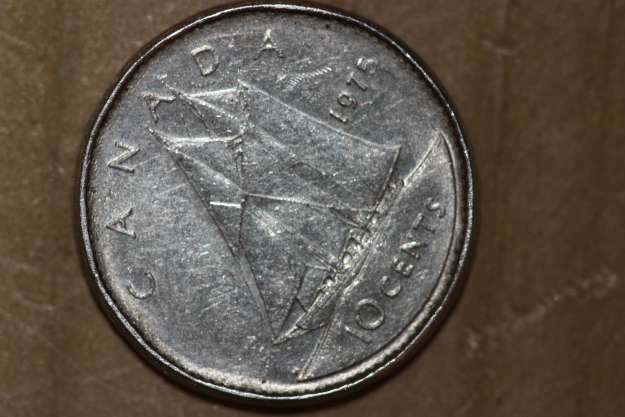 Found a 1975 Canada dime in my change. I noticed it because of it's thickness. The edge is 1.88 mm thick compared to the normal 1.16 mm, diameter 17.03 mm. There are no reeds on the edge. The beads on both sides disappear, coin struck slightly off center. I tried to find similar to get a approximate value, if any. Last edited by coindabbler on Wed Apr 24, 2013 7:08 pm, edited 2 times in total. Re: 1975 dime - broadstrike ? 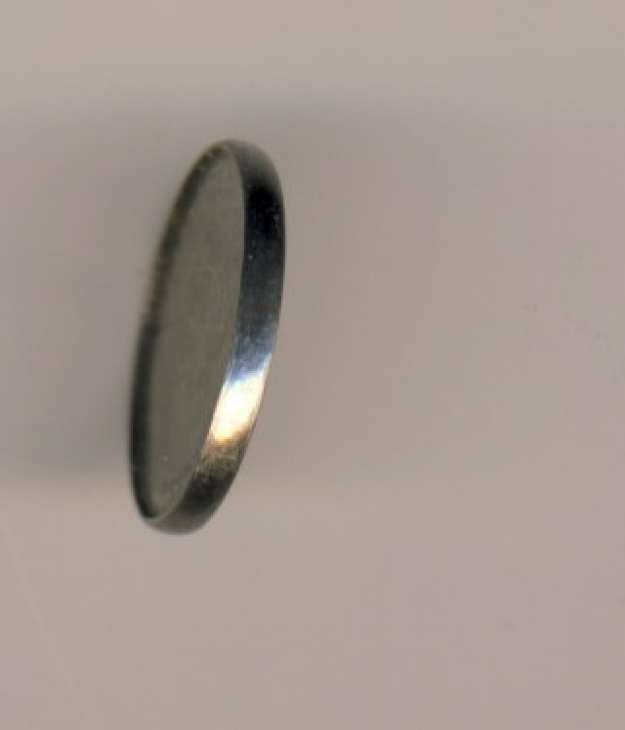 A broadstrike is a coin struck outside the collar and would result in a coin with a larger diameter, not thickness. If anything the rim would be thinner than normal, not thicker. In order to give further assistance, I would need to see some photos. Looks like a modified ring around the coin. To me, it's no a RCM production error. Thanks for the modified comment, I can see the reeds being 'machined or ground off', but how do you make the edge thicker? Your explanation makes a lot of sense and I certainly don't have a better suggestion to what caused this. However, why make a ring of nickel and not silver? Seems like a big waste of time and effort to hammer the rim smooth on a 1975 dime for not. Good question, and you are correct. Usually these "spooned coins" ARE made from silver coins and something larger that can be worn on a finger when completed. Maybe some other plan was in the works here. I just recognize the spooning process from seeing it many times before. It doesn't make sense that they used a modern dime here. 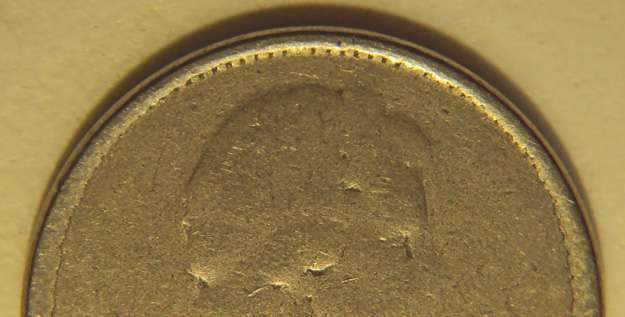 Nobody can ever be certain what people's motivations are for intentionally damaging coins. 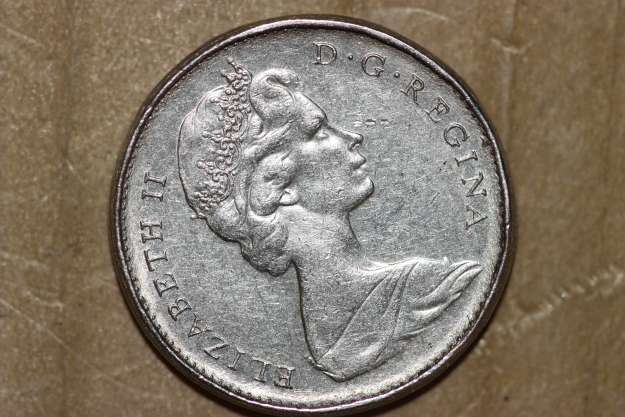 I can only assure you that this coin's rim was beaten the entire way around with an object causing the damage seen. Just do an internet image search for "spooned coin" and you will see a million of them that look the same. Thanks for suggesting to read up on spooning. There's been enough talk of them in other coin forums that I think I know what's going here. This isn't spooned by hand, but in a dryer or water pump. Notice that it's uniformly battered rev and obv which wouldn't be the case if the rim was purposely "spooned". What threw me off, is that this dime isn't exactly what I expect to see from a dryer coin, but perhaps it was rolling a lot more than it was tumbling against protrusions inside whatever the coin was in. That, and the point you made of it being too small to be a ring. Plus... it's nickel; damn hard. Wow, that beaver took a serious beating! Lol. I agree with you that since nickel is significantly harder than silver, that it makes sense that both heat AND repeated impact may have been involved, or else just more patience in the beating. Like I said, I am only certain of one thing: it is damage. The how and why will always be a mystery! Thanx to all, I never heard of spooning. Glad I joined, this site will be quite educational.